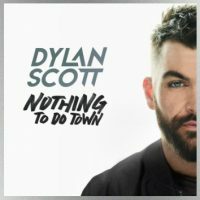 CurbDylan Scott will follow up his new single “Nothing to Do Town” with a new six-song EP with the same name. The Louisiana native wrote five of the tunes on the album, which is set to arrive April 26. Dylan’s most recent single, “Hooked,” was the seventh most-played country song of 2018; he hit #1 with “My Girl” in 2017. He and his wife Blair also welcomed their son Beckett that December. Dylan’s Nothing to Do Town Tour kicks off Thursday with two sold-out dates, starting in New York City and then continuing to Boston. Newcomer Seth Ennis — who co-wrote “Hooked” with Morgan Evans — will open.